Intel® server processors offer the scalable performance and advanced reliability required for your server and data-center environments. 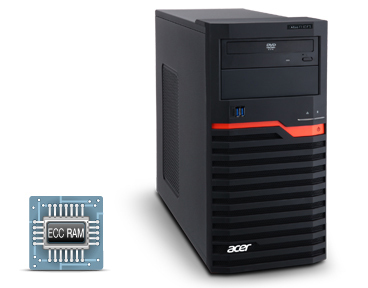 Acer servers harness the power and reliability of Intel® Xeon® processors to deliver maximum performance in a form factor that is perfect for your needs. Error correcting code (ECC) memory guards against memory errors occurring and causing system downtime. 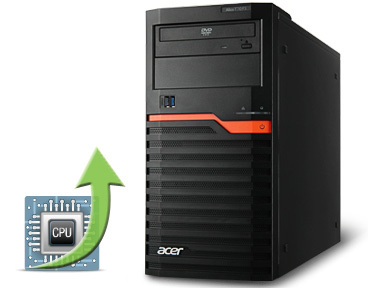 Acer servers feature ECC memory on all platforms to ensure maximum availability of your company's data. 80 PLUS® certification specifies that the power supply will be at least 80% energy efficient when converting the building's AC power to DC power for the system. 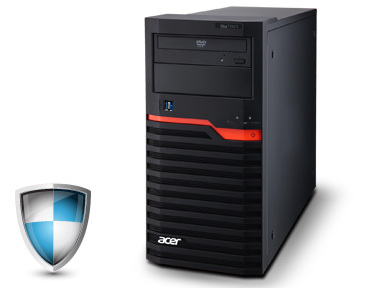 All Acer servers feature 80 PLUS® power supplies that are rated Bronze or higher, with 80 PLUS® Platinum-rated power supplies used for our most mission-critical products. 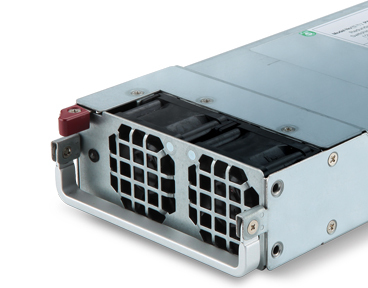 Featuring an 80 PLUS® power supply, redundant hot-swappable hard drives, and ECC memory, the Altos T110 has the same features and components as top-class servers used in the most modern data centers. 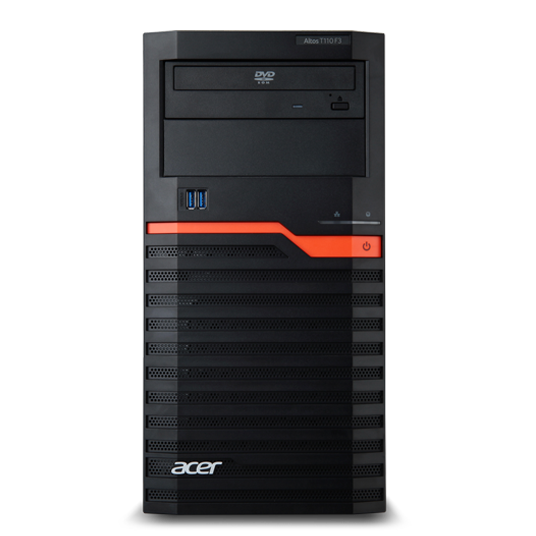 Home office and small office businesspeople can rest assured that the Altos T110 is ready to handle their needs.